On Saturday 22nd September St Mary's Parish Church in Kirkby Lonsdale was the beautiful venue for a very special occasion. 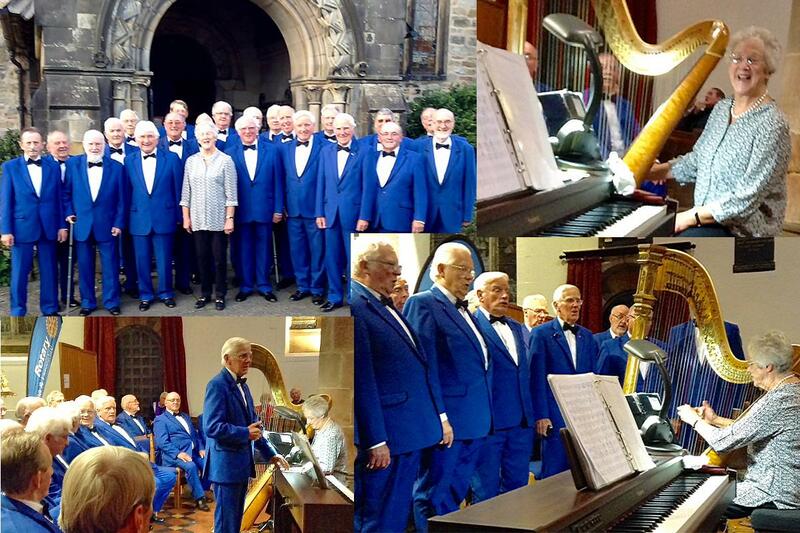 The Rotary Club of Lunesdale hosted a visit of the Llanddulas Choir from Colwyn Bay conducted and accompanied by their Musical Director Eirlys Dwyryd. The concert was a complete sell-out with every possible seat taken. The programme was well balanced with something for everyone and a selection of well known and much loved songs. The audience sat enthralled throughout both halves of the performance. Favourites e.g. You raise Me up, Autumn Leaves, The Merry Widow Waltz and the Saints Go Marching In, is just a few songs from the first half. After the interval we were treated to, naming just some of the songs, A delightful Welsh Medley, Myfanwwy, Stenka Rasin, Dream a Little Dream and an emotional rendering of How Great Thou Art. The audience showed its appreciation after each song on the programme with enthusiastic applause. There can be no doubt that everyone enjoyed the performance and the choir's visit was a huge success. I would like to take this opportunity on behalf of the Club President Hugh Sweeney and all the club members to thank the generous sponsors of the concert The Orange Tree and Free House Kirkby Lonsdale, The Royal Barn Kirkby Lonsdale, Booths and The National Westminster Bank. Above all we wish to say a most sincere thank you to the 300 plus people who attended. Rotary Club members are always grateful for the loyal support it is given from the local community. I am delighted to announce that the concert raised in excess of £2,500. The proceeds will be donated to deserving local charities.